Kick off your summer with a bang! Saturday, June 16 from 9 am to 1 pm is the official start to the House of James 2018 Summer Reading Club. Fun family entertainment, free BBQ, coloring contest, hourly draws…. PARENTS! No need for breakfast.. muffins & a coffee are only $2 from 9 am -10 am.. 1 hour only! This summer, kids from age 2-17 can participate by reading (or being read to) anything from picture books to graphic novels to CS Lewis or Jane Austen! Come in and pick up your “Passport to Wonder” reading tracker. Every 15 picture books for the younger ones, and for every 15 chapters read by the older kids, gets you a page stamp. Each stamp gets you an entry into the grand prize draw (for a bike or even a family pass to Cultus Lake Waterpark) AND a choice between a “House of James Buck” or a smaller prize from the prize bin. Come in to the store for more information! We’ve got lots to talk about! See you at the kick off, Saturday June 16 from 9 am to 1 pm! It took me a while to tell my kids the story of Easter - Jesus death and resurrection. I didn't want them to grow up so familiar with what Jesus went through that it didn't have an impact on them. I remember the first time we told them, they were so upset that Jesus got killed! AND they asked great questions... and they wrestled... and wondered.. and when Jesus came back to life.. it blew their minds . . . All good things. The story of Easter is foundational to our faith. Here are 3 different age appropriate ways to pass on the story of Jesus' death and resurrection. 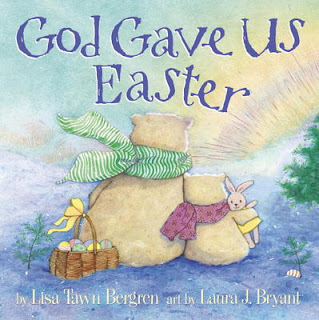 First, for the little guys, our 2 - 5 year olds - we have "God gave us Easter" written by Lisa Tawn Bergren and illustrated by Laura J. Bryant. This book is full of Polar Bears, nature ... and QUESTIONS and comments about Easter that you might hear from your 3 year old. One after the other.. Why? How? Why not? What about... then they get distracted... only to start all over again.. Why? 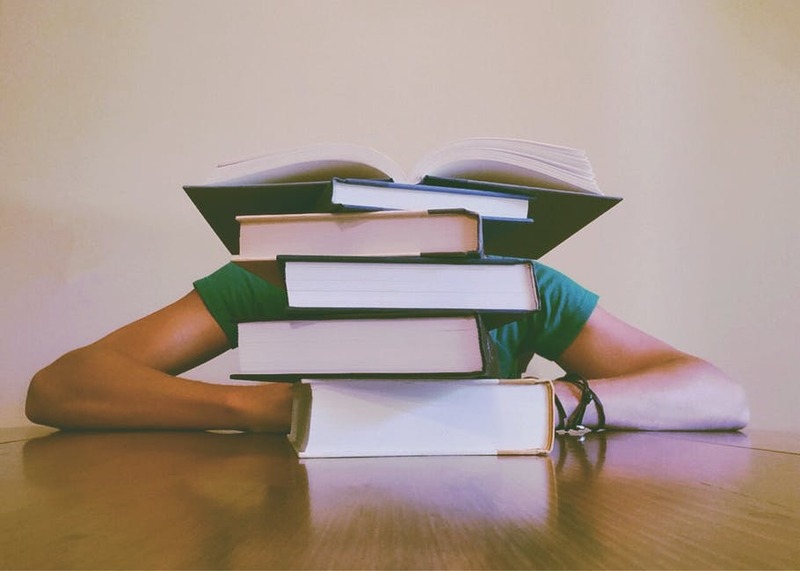 How... You might not read every page every time - there are so many wonderful thoughts to discuss with your children (what about the Easter bunny?) in a gentle way that enjoys fun traditions but always points back to God and what did in Christ on the cross and into the resurrection. Next, for the 5+ crowd, we have "Easter Love Letters from God" written by Glenys Nellist and Illustrated by Sophie Allsopp. This book covers the Easter story in 7 topical sections. It's totally still a picture book, but it's not meant to be read in one sitting. Each section would make a great family devotional - each story brings you one step closer to the resurrection. A unique aspect of the Love Letter books, is the love letter. It's a little flap with a stamp and address on it that you lift up and it's a special note written right to the reader- from the Father. It's very powerful as the Father talks about his feelings about his son during this process AND about each of us. 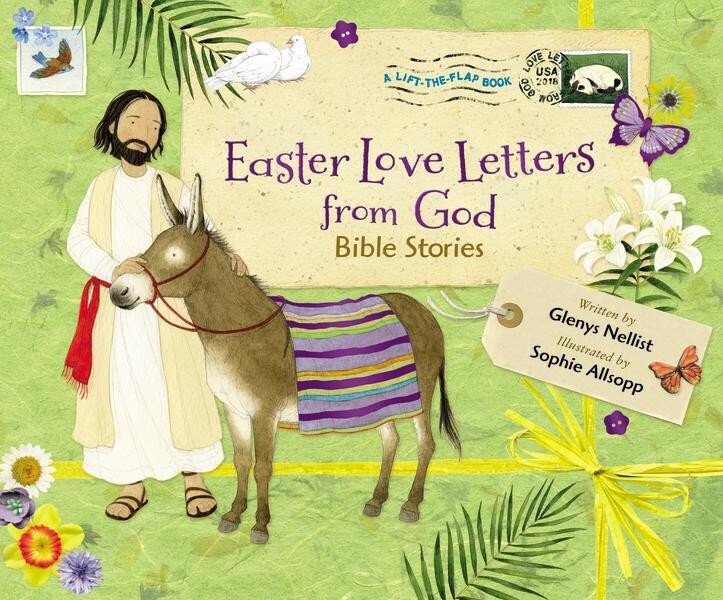 Easter Love Letters from God are full of love and hope and beauty. A very engaging the whole family into the Easter story. 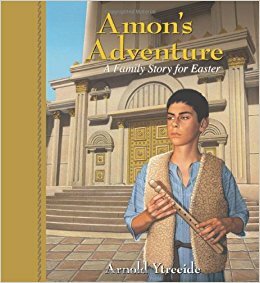 You might be familiar with Jotham's Journey and the other family stories for Advent also written by Arnold Ytreeide. Here is his contribution to the Easter story. 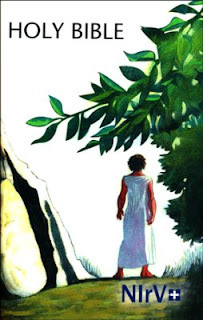 Amon's Adventure includes 28 chapters and is meant to be read chapter by chapter during the weeks leading up to Easter, and to help those who read it have meaningful discussions and make real life connections as they reflect on God's powerful love expressed in Christ's death and resurrection. 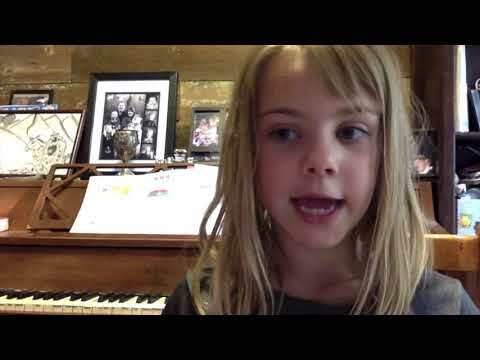 Ytreeide includes a parent teacher guide and thoughts about how to introduce Lent to children. All of Ytreeide's stories are told from a young boy or girl's personal perspective as they engage in the greater story. Amon encounters Jesus and his followers in the season of Lent and the event we now call Easter Sunday. Part 2: WHICH BIBLE TO PICK?!!! Now that you know you are looking for a Bible for your child.. which one to pick? 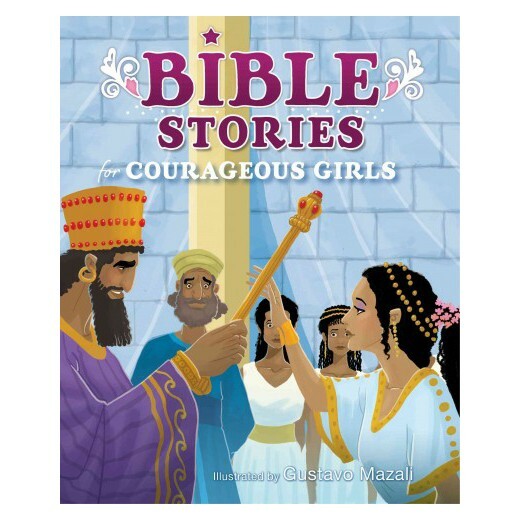 Storybook Bibles are fun for the younger kids and are great to initially engage kids, but did you know that there are actually TRANSLATIONS of the Bible created with children in mind? They are not paraphrases, Bible story books, or devotionals. They are translations from the original Hebrew and Greek, broken down into language that makes them easy for children to understand. New International Readers Version (NIrV) & The International Children's Bible (icb). The NIrV uses an approximately grade 3 reading level, and the icb vocabulary uses a bank of words based on the same standard used by the writers of The World Book Encyclopedia. If a more difficult word IS used in the icb an "n" indicates a note to be found at the bottom of the page and any word written in bold means you can find that word in the dictionary at the back of the Bible. Both translations make adjustments and modernized measurement and geographical terms. For example, "shekels" is converted into dollars and cents, and "the Great Sea" is written as "the Mediterranean Sea." Also, if a specific name of a major character in a story is known, for example if a particular Pharoah's name is "Hophra", this information is included to make the meaning of the story even clearer. The BEST WAY TO FIGURE OUT WHICH TRANSLATIONS IS FOR YOU, is to simply look up a few familiar passages and see how these children's translations handle them. 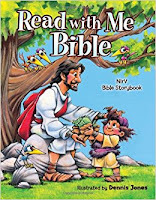 There are also children's bibles that are New King James (NKJV), King James (KJV), New International Version (NIV), New Living Translation (NLT), and the English Standard Version(ESV). The same thing applies - look up your favourite passages and compare how these translations handle them. SECOND: WHAT ELSE IS IN THERE? The next thing to consider then is what kind of help or enhancement (if any) you want with your translation. 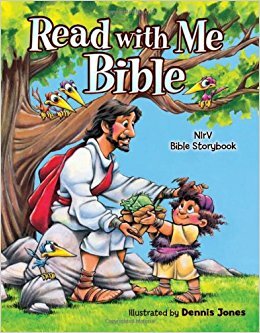 Most Children's Bibles have additional aspects that the publishers hope will engage and help children understand the Bible more readily. 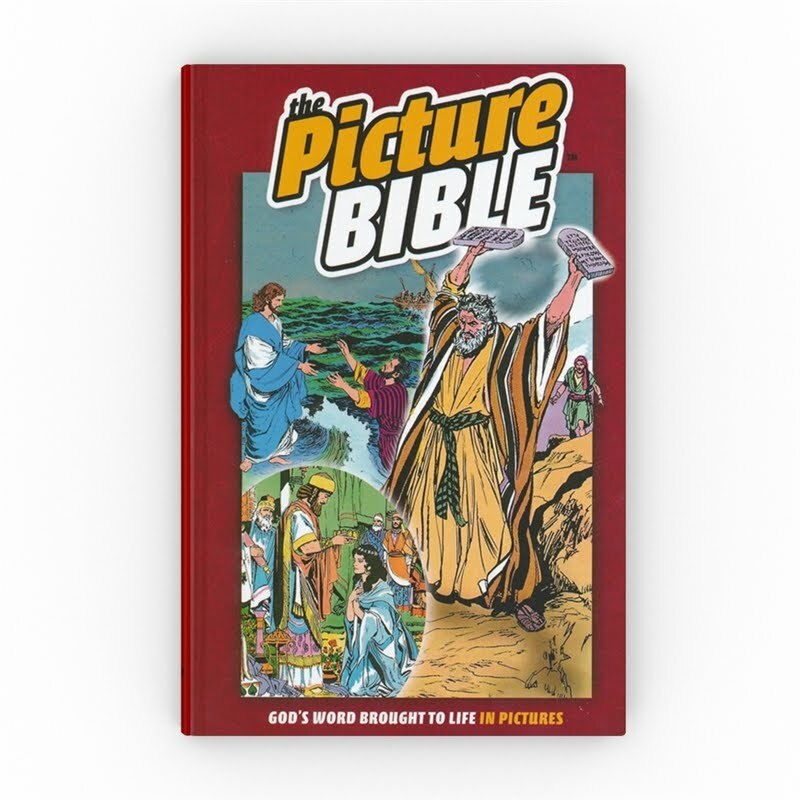 Do you want pictures, study aids, activities, prayers, devotionals, etc., in your child's Bible? Some editions cover Basic Christian concepts, highlight verses for memorization, include maps and explanations of Biblical times and culture. 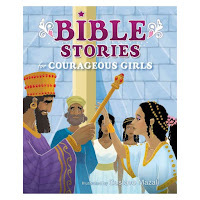 These are often very helpful for kids and help them dig further into the Bible. 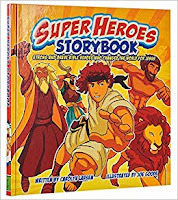 The last thing to look at is all the extras that have nothing to do with your actual Bible, but are things that publishers think kids might like. 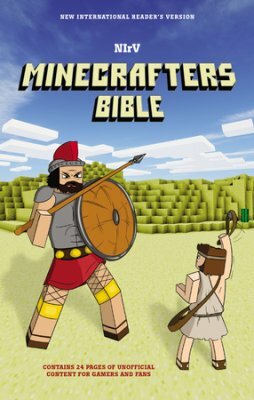 These become very specific, for example "The Brave Girls Bible" is pink and has been designed specifically for girls and will highlight women in the Bible and include devotionals and extra editorial thoughts around topics for girls, while still others yet get more specific such as the "Minecrafter's Bible" and has a Minecraft Bible character on the front and includes discussion and tips around the popular Minecraft video game. Sometimes the extras are endless.. but that's just what they are - extras. They can add to the experience or just be distracting based on what it is that you are looking for. So there you go. Come in to the store. Look online. Compare. Find just what you are looking for. I have spent a lot of time looking at different kids Bibles, wondering... "WHICH ONE SHOULD I GET??" We've got polka dotted, leather, big, small, princesses.. indoor, outdoor, explorer... Big print, small print, pink print, purple print and of course.. red letters. Then we've got story book, devotional, study and kids Bible translations. It can get overwhelming trying to figure out what on earth to pick for who and why. Here's some information that can help make your decision a whole lot simpler. If your child still might chew, throw, spill on, or rip pages, these books are for you. These are simple books that depend on the pictures to capture your child's eye. There are prayer books, bedtime thoughts, individual Bible stories (Noah, David, etc.) 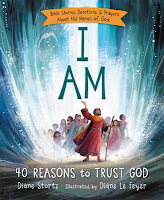 all intended to help you build a foundation for connection between you, your child, and God. Here, for example is the Precious Moments "Little Book of Bedtime." In it are prayers of thankfulness to God for the day and poems that point out many of God's blessings given to us every day. These books often have hard covers with paper inside. The illustrations are still essential, but there is more writing and the book might cover anywhere from one Bible character to many or all of the major stories in the bible. These could be based loosely on a translation with an editor or author's embellishment, such as adding poetry or personal perspective or even a complete re-telling of any particular story. 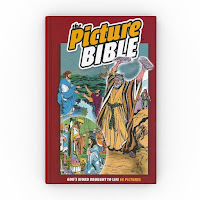 This includes all sorts of genres from Comic Book Bibles, such as the Action Bible by Sergio Cariello and Doug Mauss, to the Jesus Story Book Bible by Sally Lloyd-Jones, or even the Precious Moments Storybook Bible complete with Precious Moments illustrations. 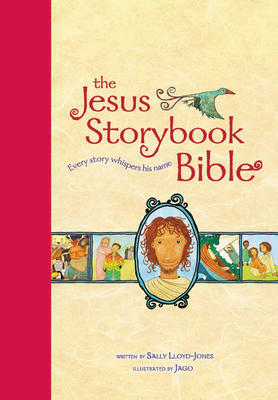 One of my favourites is "the Jesus Storybook Bible" . . . super unique art, and the byline is "Every story whispers his name." Sally Lloyd-Jones keeps reminding the reader the whole way through that if you think things look bad, it's not over. God is present and is working. And if a story is wonderful and amazing, she celebrates and points to God's faithfulness in such a beautiful way. 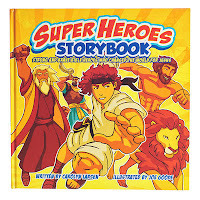 Another example is the "Super Heroes Storybook." This one is specifically aimed at younger boys. The font, bright colours, and vivid illustrations draw little guys in. Inside, each individual has a profile and an explanation of what their super power is. 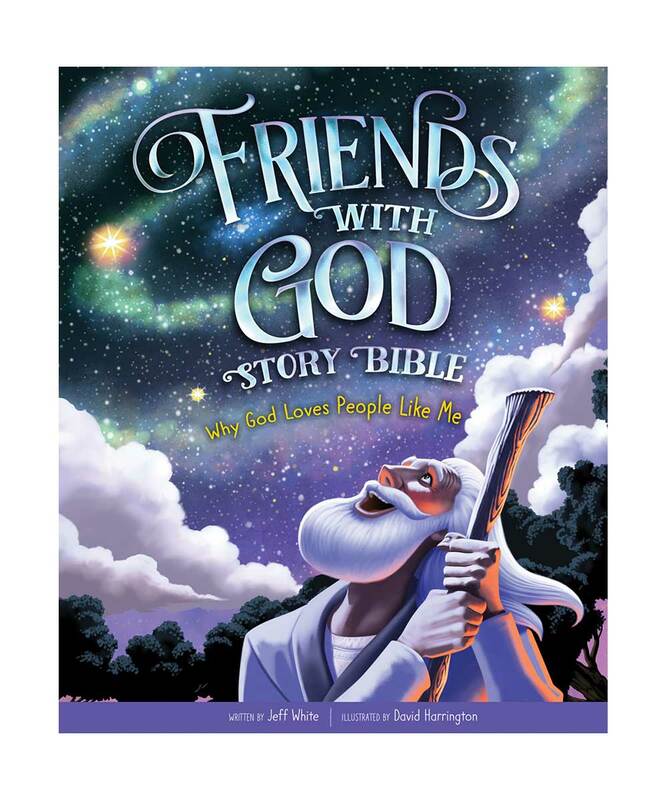 Bible story books are kind of like "fresh eyes." 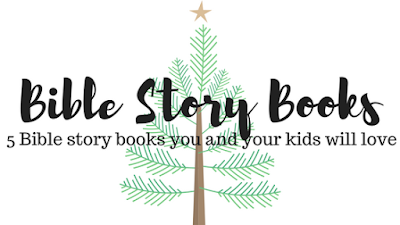 They have a capacity to reach into an old story and draw out special parts, breaking the stories down and focus on specific aspects of a character or his/her situation, so our kids can identify with and enjoy them in a totally new way. Devotionals are books that authors have written to help engage or teach us about people or topics in the Bible. Devotionals are often themed, or have a specific audience in mind, ie. 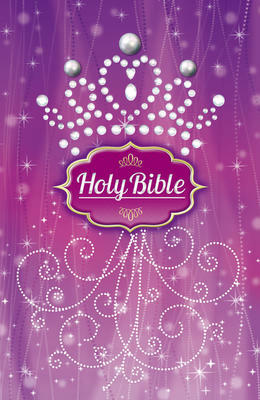 for girls, daily devotional, family devotions, etc. They include stories about every day life NOT found in the Bible, prayers, questions, activities and opportunities to look further and find out more about the topic from the Bible. Each devotional contains each author's personal opinions and thoughts about life, God, the Bible and the world. 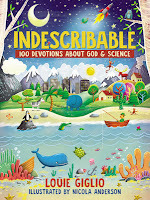 For example: Louie Giglio has written a devotional called "Indescribable: 100 Devotions About God and Science." 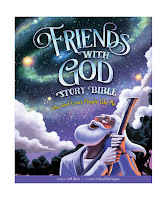 It is full of scientific facts, activities, and prayers and intending to point out God's great creativity and to encourage kids to see Him everywhere in nature. Here's another one called "365 Bible Answers for Curious Kids." Basically what you get to do here, is go through one question every single day of the year. Questions are asked discussions points are presented. It covers a wide range of theological, historical, and faith related topics. If more information seems necessary, the book contains suggestions resources to explore for further learning. These are actual translations of the Bible designed with children in mind. "Translation" means the editors went to the original language the Bible was written in, and worked from that foundation to come up with a version that makes sense in our language and our culture. 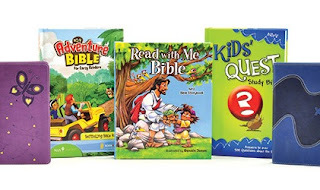 While there are two translations specifically FOR kids; the International Children's Bible (icb) and the New International Reader's Version (NIrV), there are also children's bibles that are New King James (NKJV), King James (KJV), New International Version (NIV), New Living Translation (NLT), and the English Standard Version(ESV). STAY TUNED FOR PART 2, where I will talk about these translations and discuss what this means for the reader! So what are you looking for? Come in and take a look around. Ask for help. Take a stack of books and sit at the kids table and talk a look through them. We have so many great things in store! 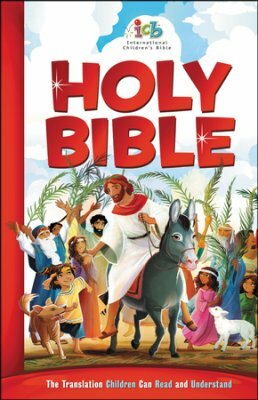 Looking for a great Bible for the kids or grandkids this Christmas? There are so many amazing Bible and devotional options out there (I counted over 60 different kids Bibles and 75+ kids devotional books on the shelf! So overwhelming!). 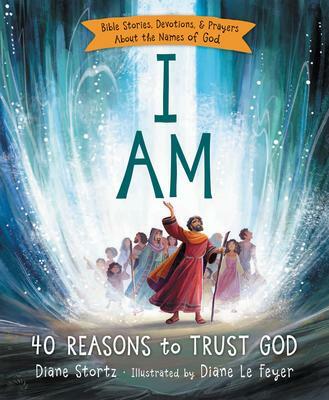 We all want our kids to engage with God in a meaningful way through scripture. 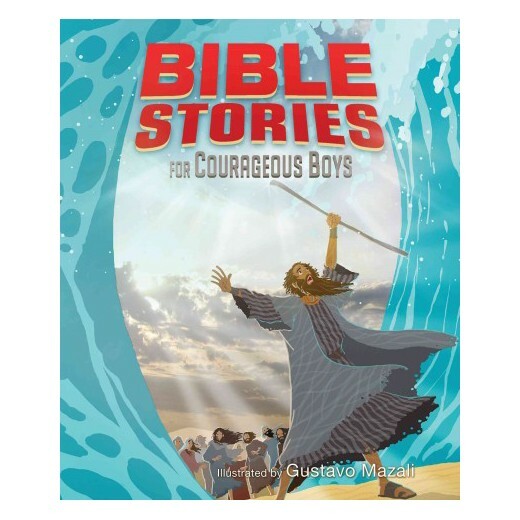 Here are 5 Bible Story books that do just that. 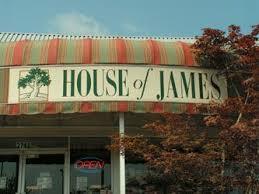 Click on the linked title to go straight to the House of James website for pricing and in store availability. The House of James has so many amazing resources for kids and their families, but sometimes it can get overwhelming! This blog is designed with you in mind. We want to help you find what you are looking for! 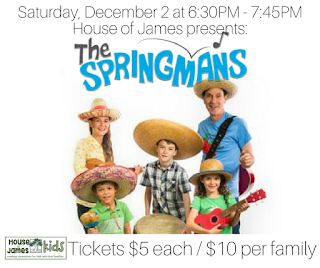 From books, Bibles, music, DVD's, games, activity books, colouring books, and events, this is the spot to find out what's going on for families at House of James.